Bradley Runner graduated from Herscher High School and received his associate’s degree in the Physical Therapist Assistant program of the Kankakee Community College in Kankakee, Illinois. He enjoys bowling (195 average) and golfing as well as spending time with his two fine boys. 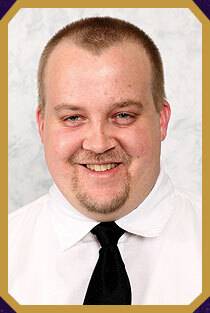 Brad has also worked previously as a Certified Nursing Assistant and as a Home Health Aide. His passion is hands-on treatment and caring and thus, he got interested in the physical therapy field. A hero in his own right, Brad has scored one human life saved with the Heimlich maneuver to a choking woman in a local restaurant. As part of Jojo’s respectable and highly trained professional staff, Brad is committed to serving patients with the best care possible.